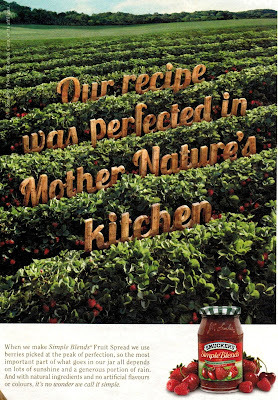 "Our Recipe Was Perfected in Mother Nature's Kitchen"
It's also made with "natural ingredients" and "no artificial flavors". Heck, using it must be like simply spreading berries on toast. Looking at the ingredients and nutrition facts panel has me mad at either Mother Nature or Smucker's because either Mother Nature's kitchen spikes strawberry jam with the concentrated sugars of evaporated cane and white grape juice, or Smucker's does. Each tablespoon of jam contains 11g of sugar. That's 1g shy of 3 teaspoons of sugar per tablespoon of jam. Well for perspective 1 tablespoon of this sugar spiked jam contains more sugar than 1.5 CUPS of actual strawberries. 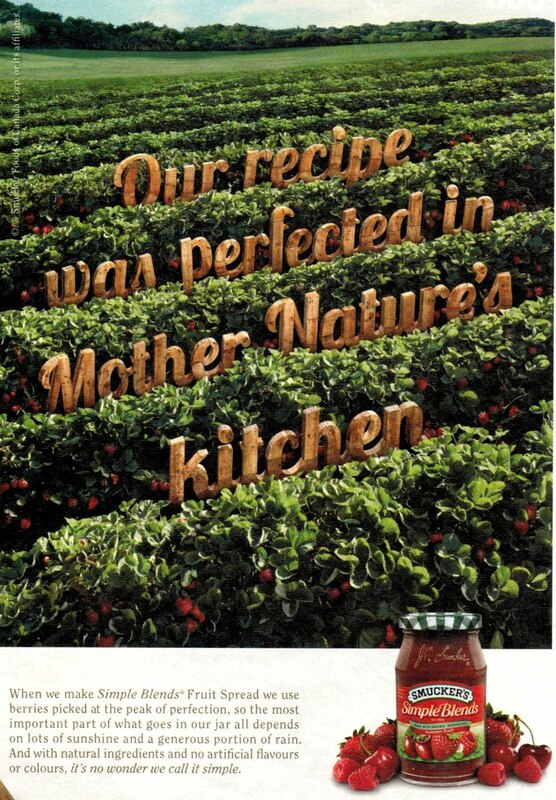 Now in fact that's true for pretty much all jams (unless artificially sweetened), but not all jams suggest that Mother Nature made them do it. Jam is not now, nor will ever be, a healthful choice.